Forestbrook is a small, coastal Carolina community located along SC 501 just 6 miles west of Myrtle Beach, a mile from the Intracoastal Waterway, and 5 miles from Myrtle Beach International Airport. As an affordable residential area along the Grand Strand, Forestbrook attracts “native” South Carolinians as well as “transplants” as residents. Forestbrook Elementary School is one of five schools in the state that has won the 2012 National Blue Ribbon Award. These schools are models of excellence and have demonstrated dramatic gains in academic achievement. This is the third time that Forestbrook Elementary has won this award. Good schools make great neighborhoods! 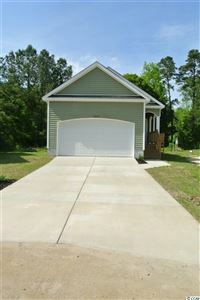 And, Forestbrook is a great neighborhood with an ideal location! Forestbrook is close to Tanger Outlet, grocery stores, Grand Coastal Mall, Myrtle Beach, and SC 31, a six-lane highway that connects Little River to Murrells Inlet. Starting prices of homes in Forestbrook are in the $75,000 range making this an affordable community with good schools that maintain property values. Arrowhead is one popoular community in the Forestbrook area with homes built on and around Arrowhead Golf Course. Why work with a RE/MAX Southern Shores real estate agent? As the top selling real estate agency along the Grand Strand, RE/MAX Southern Shores agents can assist you with purchasing a home that is suited to your needs in Forestbrook. RE/MAX Southern Shores agents KNOW the Myrtle Beach neighborhoods and the Myrtle Beach housing market. A RE/MAX Southern Shores agent has been expertly trained and is experienced in finding the RIGHT property at the RIGHT price for every client! RE/MAX Southern Shores’ reputation has been built upon unsurpassed customer service and long-term client relationships. RE/MAX Southern Shores agents focus on YOUR wants and needs related to the home buying/selling process. Contact RE/MAX Southern Shores at 843-839-0200 regarding any of the Grand Strand MLS listings including Forestbrook. 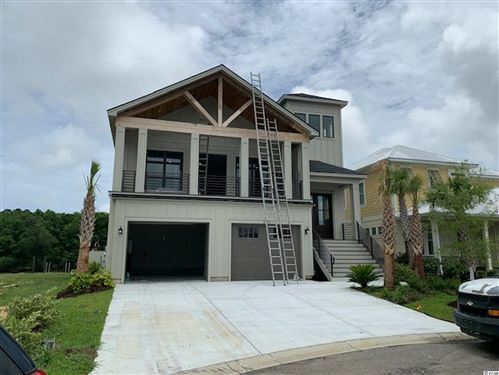 One of our expert agents can assist you every step of your real estate search by providing you with detailed information for any property listed by any agency on the Grand Strand. Best of all, RE/MAX Southern Shores services are provided at NO COST to you as the buyer for every property listing in the Coastal Carolina Multi-List. If you have a request with specific criteria for your new home in Forestbrook or anywhere on the Grand Strand, use the search features found at this website or call RE/MAX Southern Shores today at 843-839-0200 to speak with an experienced agent about your real estate dreams!